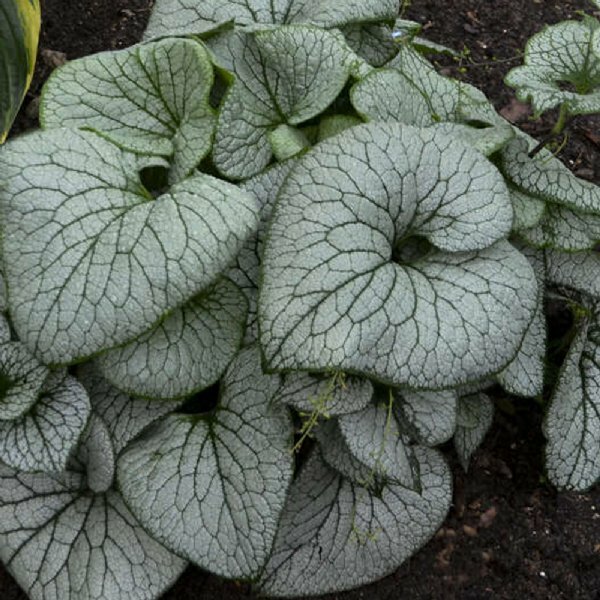 Our Brunnera 'Sterling Silver' Siberian Bugloss Plant is an improvement from the Brunnera 'Looking Glass' Siberian Bugloss Plant.It sports larger leaves with the same glossy silver color, and sprouts delicate, heavenly-blue flowers. With its larger habit and better heat tolerance this cool shade-lover has advantages over the prior version. Comment: Grow Joy has become my favorite online nursery. Great customer service, timely shipping, great packaging, excellent plant quality. I've been ordering plants online for decades and after repeatedly ordering from Grow Joy I'm a dedicated customer.